STRAINER VALVES are available in flanged and screwed types and in sizes from 1/2" to 4". These are fitted with fine wire mesh cloth of stainless steel so that no foreign matter of dust can enter the system. Ashi Engineering Co. Pvt. 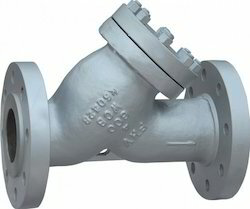 Ltd.
With rich industry experience and knowledge, we are committed towards offering an excellent quality range of Screwed PP Y Type Strainer Valves. High Quality Investment Casting Body/Cap Pressure Temperature Rating: 600 Psi S316 Or 304 Screen (Mesh), Mesh Hole Size: 0.8mm, 1.0mm. Ronak Pumps & Valves Pvt. 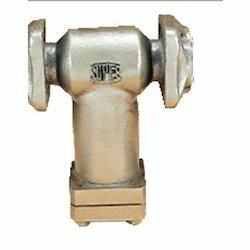 Ltd.
We are Leading manufacturer and Suppliers of Wire Strainers. - Application: Water, oil etc. Note :We are Intrested in Bulk Inquiries Only. Shah Bhogilal Jethalal & Bros. Specifications & Features Screwed female ends to BSPT. - Stainless steel / brass 1mmm hole diameter per forated sheet screen in guided in the body and cover. - Fine finish and smooth contours reduce preesure drop in the strainer. - Lage screening area makes the strainer efficient in the performance.